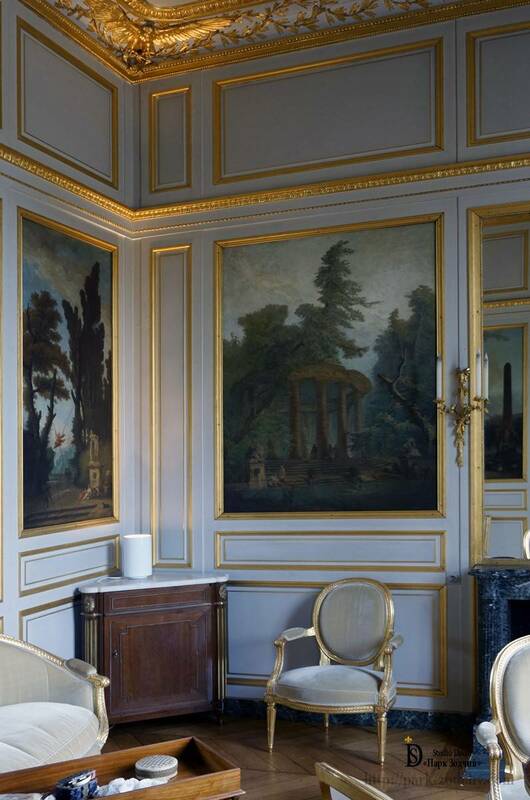 The interiors of the French Classicism in the age of Louis XV had their distinctive characteristics, which have been taken as a basis for the decoration of the room. As a result, the Classic-style dining room has gained architectural and artistic integrity. The room is harmonious, attractive and chicly cozy. The walls are separated from the ceiling by the gilded stucco cornice with its floral pattern. 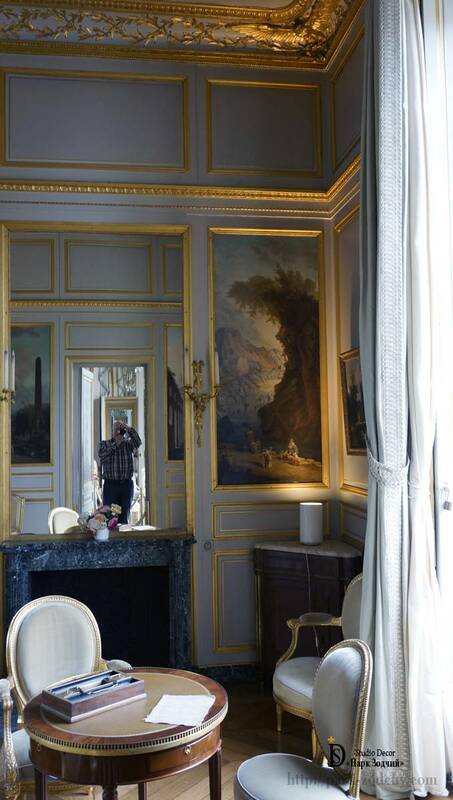 The mirrors of the walls are decorated with paintings. The artists have performed them in the technique of fresco. This has advantages for the Interior. The matte texture gives no flecks, and the pattern is perfectly visible from all angles and in different lighting conditions. Motifs of paintings of the Italian Renaissance era have been chosen not by chance. Framed by golden stucco moldings, they change perception perspective for the room sizes. In combination with pictures, a harmonious comprehensive image has been created. Artists, gilders, masters-finishers have studied to the last detail the principles of decoration, combination of colors in the interiors of the past. 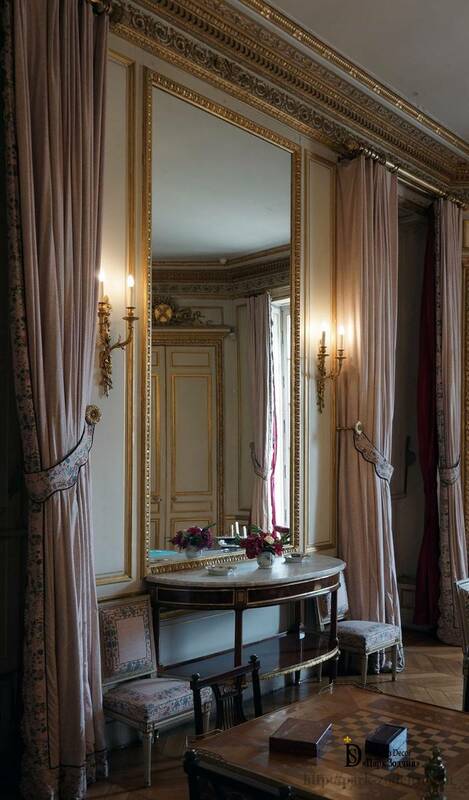 Their talent and adherence to the classical allowed creating luxurious decoration of the room. It is impossible to imagine the Classic-style Interior in its pure form without a fireplace. A marble laconic portal has been chosen for this project, due to this it does not dominate in the Interior but is in harmony with other items and light-colored furniture. Living rooms, decorated in this style, acquire adjusted lines multiplied by the richness of the décor. Color gamma is enough subdued, as if whitened. But gilded rods and marble decorative tables make the room elegant. The flowing lines of the decorative frieze of the ceiling and the parquet echo between themselves and bring in perfection of the Interior geometry. An interesting feature of this style is that: large mirrors, decorated with plaster rods, in a remarkable way increase the space and are the iconic detail of the Interior. Rectilinear stucco moldings are balanced by soft coattails of the textile and smoothed lines of furniture. Combination of various decorative techniques has been made meticulously. 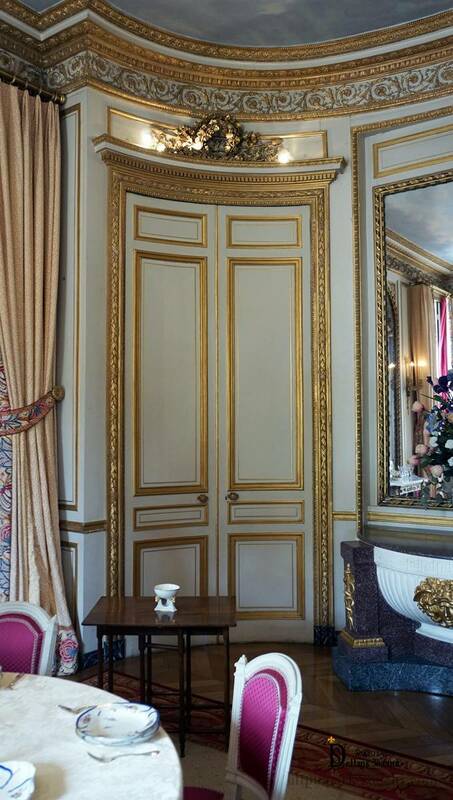 Brass leaf gilding of the parts has become an additional advantage for the customer, it has significantly cheapened the cost of the project, but along with this, the quality of gilding is at the high level, that has made the Interior unforgettable.